KTP Enterprise has introduced its new line of affordable mobile distance measuring devices. Our FastMeasure vehicle mounted distance measuring device mounts on the dashboard and is designed to help contractors quickly and accurately measure parking lots, roads, utilities and more in the comfort of your car up to highway speeds. FastMeasure can also be mounted on concrete saws, crack routers, striping machines, etc, for accurate job accounting. 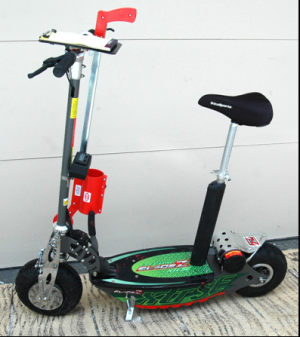 Our FastMeasure Scooter package includes a 450 watt electric scooter, with mounted FastMeasure distance measuring device, paint wand and clipboard, no assembly required. This makes measuring and laying out jobsites a breeze - at 15 mph, you can measure parking lots, roads, paths and utilities in no time. The scooter folds to easily fit in a car or pick-up truck. Visit http://www.Fast-Measure.com or call 1-888-876-6050.